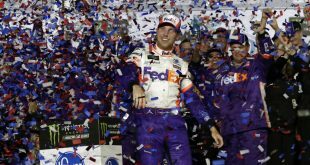 The NASCAR season officially wrapped up after last night’s Championship race in Homestead-Miami Speedway concluded with a spectacular finish as Martin Treux Jr. captured his first ever Monster Energy NASCAR Cup title. 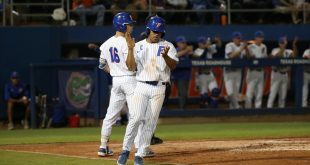 It was without a doubt an all-around emotional, heartfelt win and celebration that will be remembered by Treux Jr., his pit crew and family for the rest of their lives. 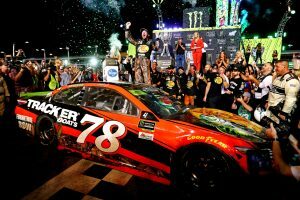 Nov 19, 2017; Homestead, FL, USA; NASCAR Cup Series driver Martin Truex Jr. (78) celebrates winning the NASCAR Cup Championship after the Ford EcoBoost 400 at Homestead-Miami Speedway. Mandatory Credit: Mark J. Rebilas-USA TODAY Sports. Truex Jr. qualified at second for the start of the overall race, behind Denny Hamlin by .005 seconds, but started off first in the playoff race between Kyle Busch at third, Brad Keselowski at fifth and Kevin Harvick at ninth after time trials. This race was going to be a special one for many NASCAR fans. It was the last time that many will see Dale Earnhardt in his No. 88 Hendrick Motorsport Chevrolet, as he officially retired once the race finished. Earnhardt, a close friend of Treux, finished in 25th place. Once the race began, Truex fell back three spots and maintained his place at fifth. He was last within the four playoff contenders until the end of the first stage. The first and second stage was dominated by Kyle Larson, who extended his lap leads to 145 by the end of the second stage. But, once the last stage began, Treux began to pull away. He caught up to Larson and took the lead. Truex’s No. 78 car led for 78 laps with Kyle Busch right on his tail. Busch caught up after Larson fell out and finished the race in second place after an astounding turn of events in the final lap of the race. Busch closed in rapidly and for a moment it seemed as if he was going to catch his fellow Camry driver but Treux maintained his composure to win by a margin of .681 seconds. The victory was a huge blessing to Barney Visser, owner of Furniture Row Racing, who sponsors Truex. Visser is recovering from a heart attack and a bypass surgery. 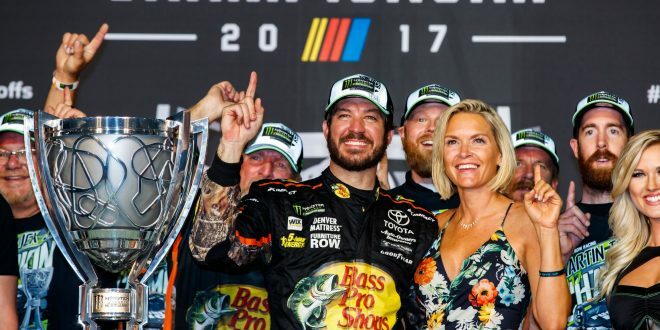 Meanwhile, the emotional victory was dedicated to Truex Jr.’s longtime girlfriend Sherry Polex, who is suffering and battling ovarian cancer. It has been a spectacular year for Treux Jr. In his 14th year of racing professionally he amounted to career highs in wins (8), laps led (2253) and top 5 finishes (19). This championship was the icing on the cake to an emotional year. The final lap of 2017 was a good one for @MartinTruex_Jr!